Hello Stampers! I'm back from another fabulous Stampin' Up! Grand Vacation. My family and I had an amazing time and didn't want to come home:) Hopefully I will have some pictures of our trip to share with you in a few days. For now I'm still trying to catch up with things I left off...including never-ending loads of laundry! I think I need another vacation!!! 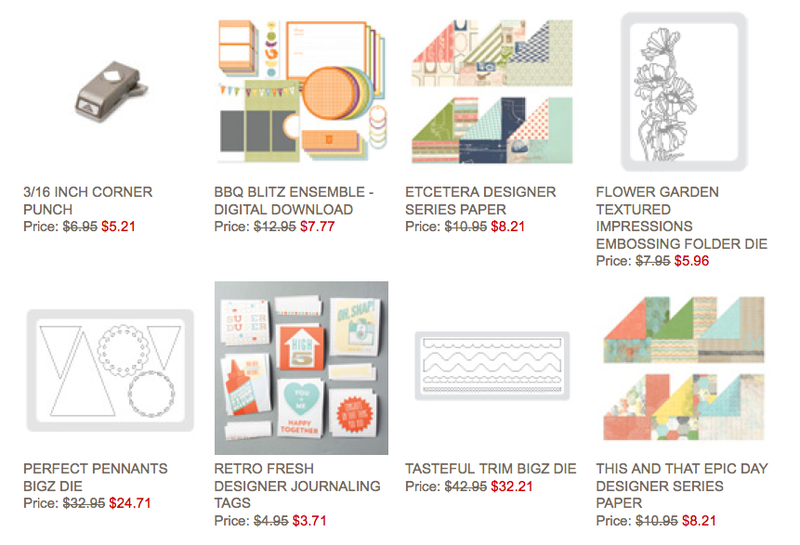 I'm happy to see my favorite Perfect Pennants Die is included in this week's deals. 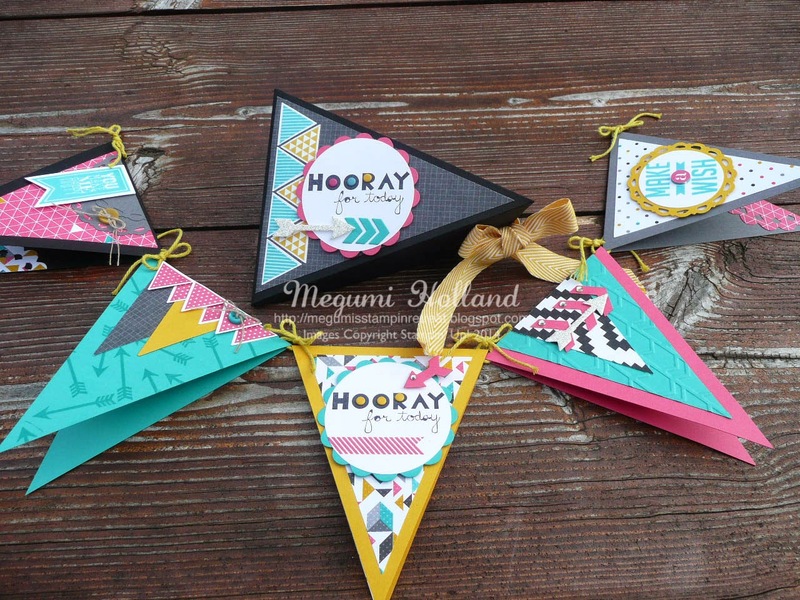 I made this Triangle Scrapbook Box and embellished my pennants with die-cut pieces from the Perfect Pennants Die. This die is retiring so grab yours before it's all gone for good. Thank you to everyone who placed a Stampin' Up! order with me in April. I drew one winner from all of the online and phone/email orders and the lucky stamper is ... LoAnn from Port Angeles, WA to receive the Banner Greetings. Congratulations, LoAnn!!! It's a new month and time for a new stamp set giveaway. This month's stamp set is Morning Meadow from the Annual Catalog. Please click HERE to learn more about my Free Stamp Set of the Month offer. It could be YOU next month!! !